The Three basic tenets of Freemasonry upon which Freemasonry is founded and upon which every action of a Freemason should be grounded. Freemasonry is one of the worlds oldest secular fraternal societies. 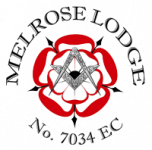 This document is intended to explain Freemasonry as it is practised under the United Grand Lodge of England which administers Lodges of Freemasons in England and Wales and in many places overseas. The explanation may correct some misconceptions. From its earliest days, Freemasonry has been concerned with the care of orphans, the sick and the aged. This work continues today. In addition, large charitable donations are given to national and local charities. © 2013/8 Melrose Lodge. All Rights Reserved.